I hate filling the gearbox. The transfer box is not so bad, but the gearbox (both the LT77 and R380) is annoying to fill as there is hardly any space to get above the filler hole to pour the oil in. I've tried using a suction gun, but not had good experiences; the MTF94 or ATF oil is thin and leaks from every gap in the gun when you invert it to pump uphill. 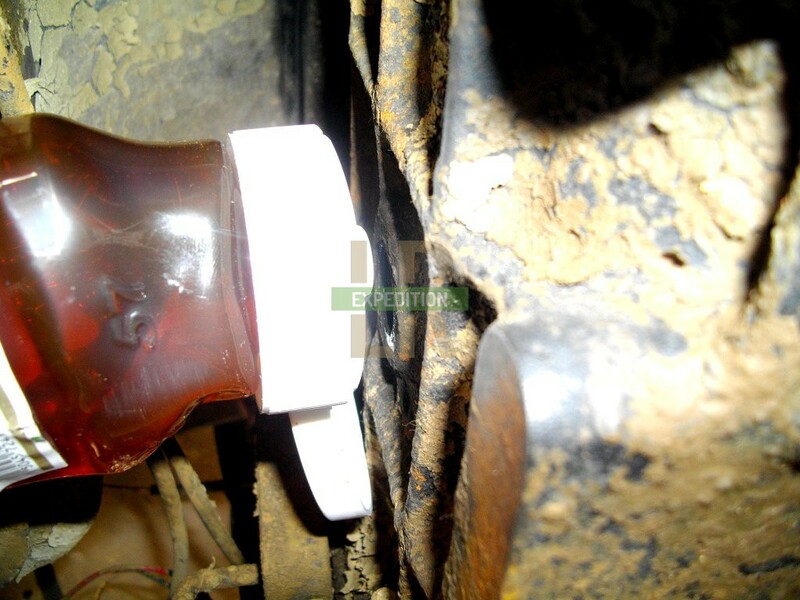 The only option for me has been removing the gearbox tunnel and using a piece of hose pipe and a funnel to fill, as you can see when I changed the oil in an LT77. I changed the oil about a year ago (5000 miles) and i've had a slow leak from the gearbox input shaft seal at the mating plate with the clutch bellhousing. Recently, the gear changes have been getting a bit notchy and I was dreading having to rectify it with an oil top up by putting a lot of effort into what should be a simple job. I recently came across the answer to my issues in the form of ketchup! I've spent the last week lavishly putting ketchup on every meal (luckily there've been a few BBQs also) waiting for my moment to get a clean squeezy bottle. This bottle is 400ml and fits well because of its size and fact that it's quite flat in profile. This means it goes almost to horizontal until it butts against the footwell, so there's a slight uphill meaning that the bottle has to be full to be able to squeeze anything out. It has a little nozzle on the end so it's quite easy to line up and insert into the filler hole. Then just squeeze til the oil dribbles out. 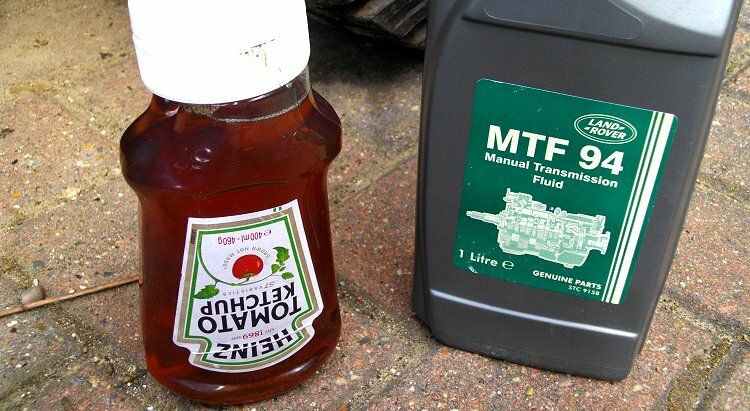 In all it took about 10 minutes, most of which was cleaning the filler plug and pouring the MTF94 into and out of the bottle. 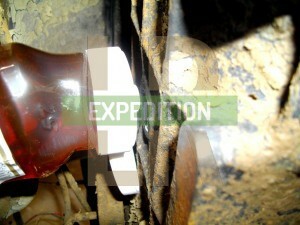 In a year's usage, the gearbox has managed to loose about 100-150ml of oil. Now the gearbox is running smoother, so it goes to show how little it takes the oil level to drop to make a difference! My gearbox is in a slightly ropey condition so i'm doing the best I can to keep in a reliable condition. It likes oil and hopefully will love me for it. The maintenance schedule of an R380 is 24,000 miles, so i'm a few years away let from having to do a full oil change, for which this method would be quite tedious. 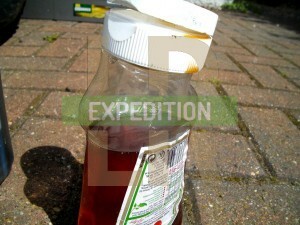 But it's a great example of something that will help to keep your oils topped up on expedition by taking the hassle out of the job! Update: I have since upgraded to 700ml ketchup bottles and did in fact do an entire oil change with the this method. It was a bit tedious so next time I might use a bottle/plunger/hose type arrangement. 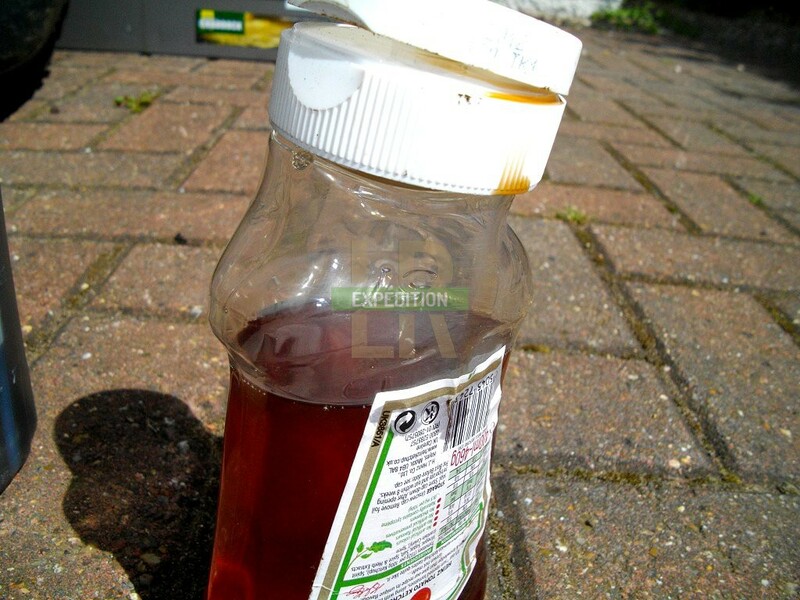 But I still use this method for quickly topping up.